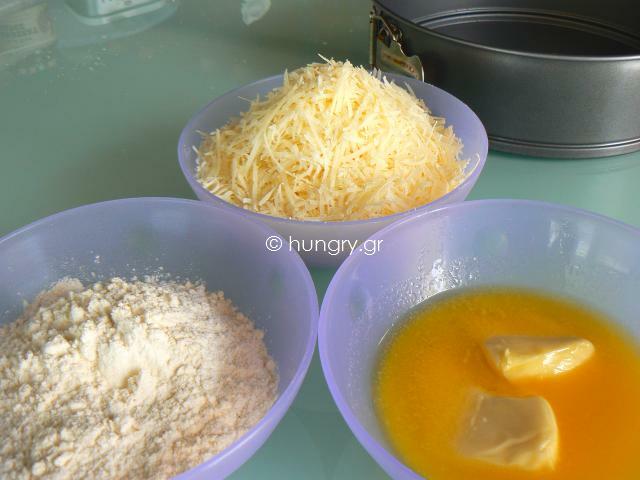 In a bowl, mix the flour, half melted warm butter, not hot, and parmesan cheese. Add a little water until you have a solid dough ball. 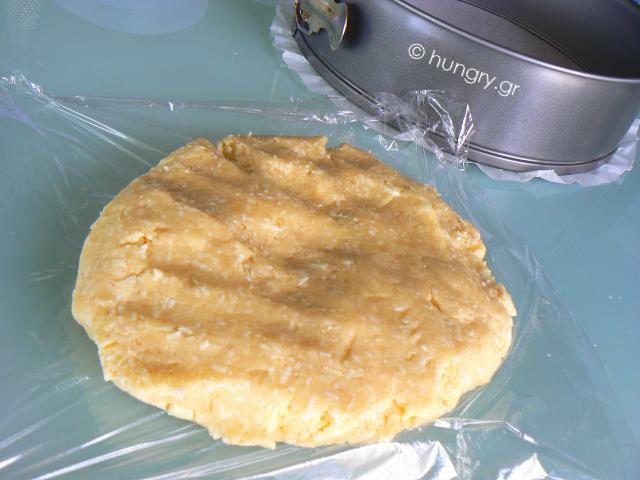 Envelope it in transparent foil and refrigerate for 30′. 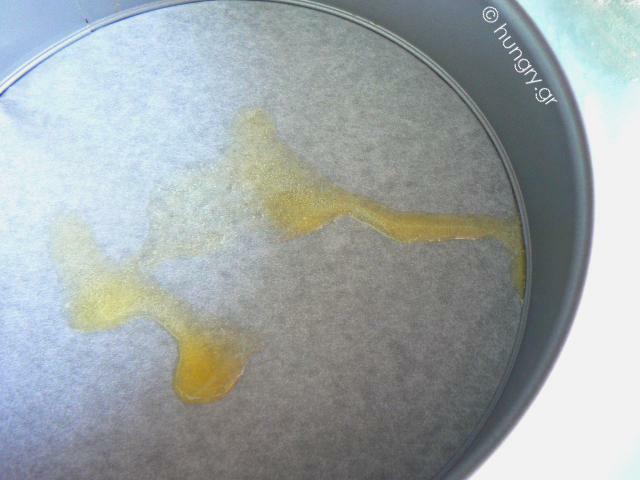 Spread the base with non-stick baking paper and grease lightly. Grease the sides of the spring pan. 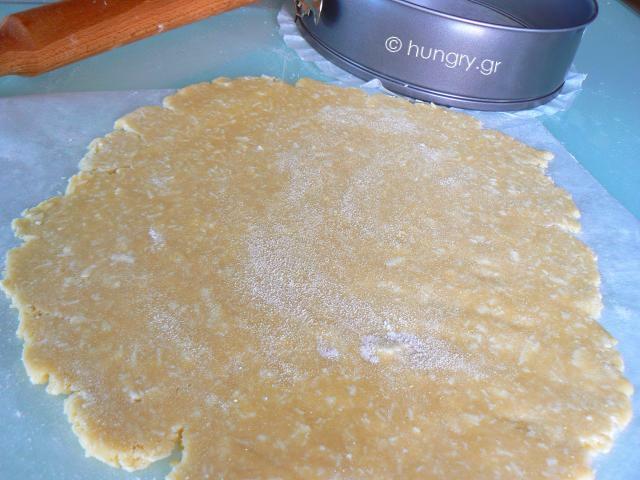 Remove the dough from the refrigerator and roll it out onto non-stick baking paper, in the diameter of the spring pan and a some more for the sides. 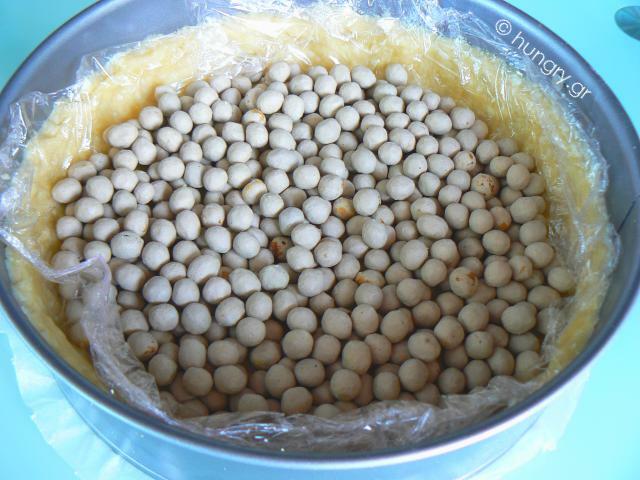 Cover with transparent film and fill with ceramic baking beads or beans. 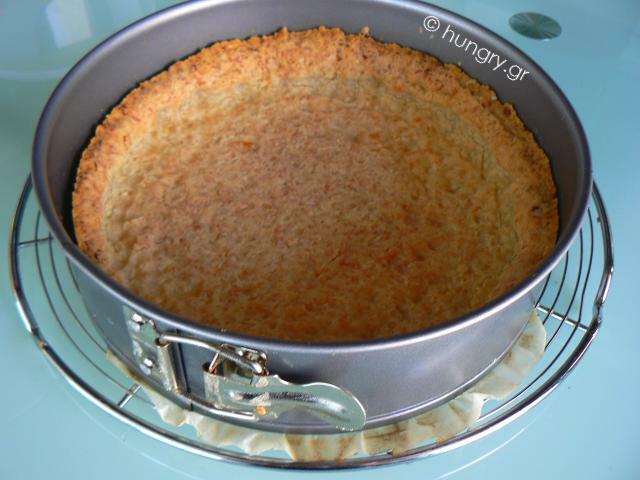 Bake the empty tart base, without filling for 15′-20′ at 180°C. 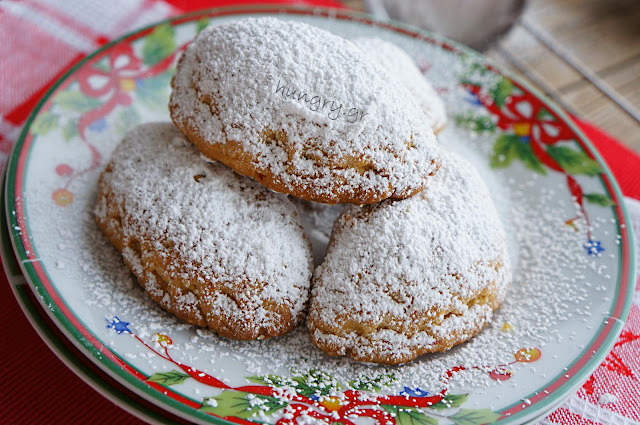 Until the edges get a golden brown color. Remove the spring pan from the oven and remove the ceramic beads. Replace the pan without filling in the oven to bake for 10′ more. 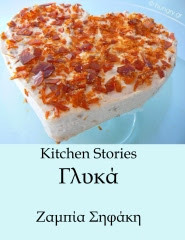 Remove the spring pan from the oven, let it cool and prepare the filling. Wash gently and thoroughly the peppers, remove the seeds, dry with paper towel and cut into thin strips. 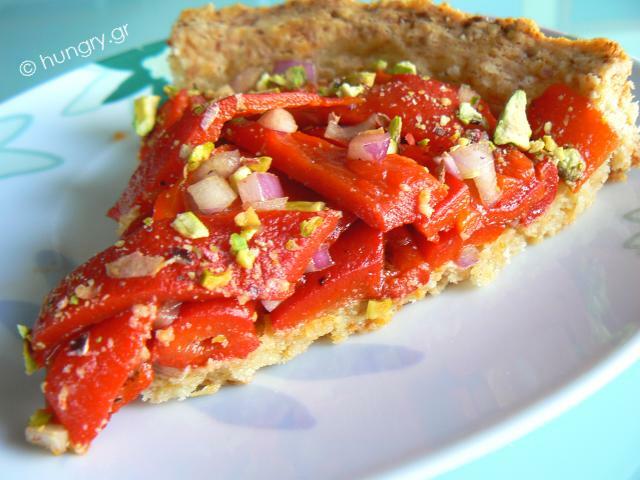 When the crust of the tart is cool, place the chopped pepper strips round across the surface. Sprinkle with onion and pistachios. 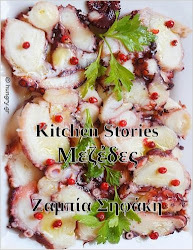 Drizzle with olive oil and finish with a little salt & pepper. 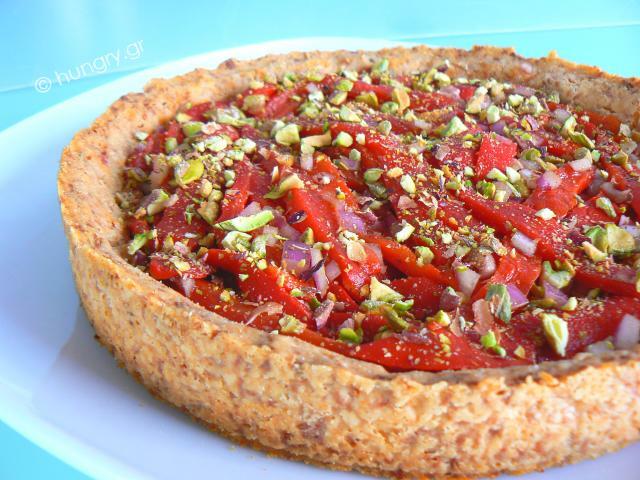 It is a delicious tart with a spicy crust. 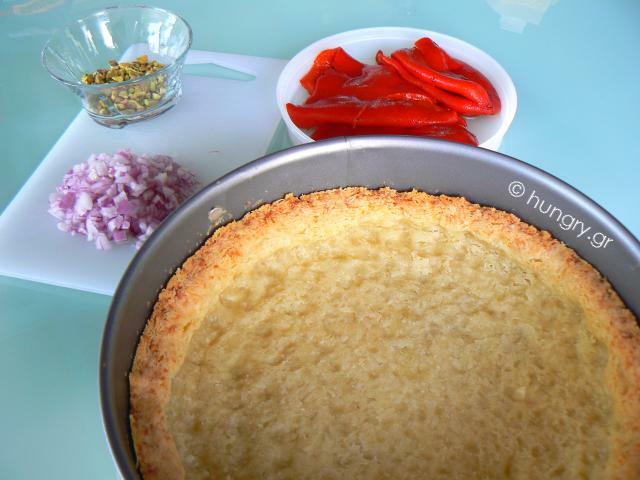 You can use the same crust in other savory tarts too! 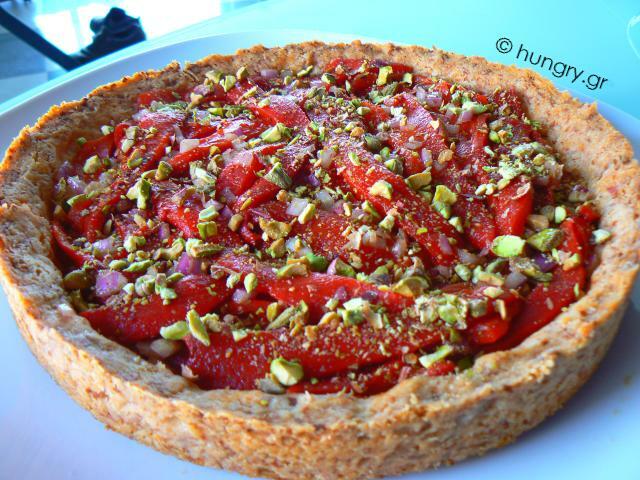 Summer tart, light but hearty. With "rural" style, the aromas of tomato, oregano, and thyme and the chewy taste of mozzarella. All blend together and give a delicious dish. Our favorite flavors of the spinach, the feta cheese and the greek yogurt, combined in the form of a tart. 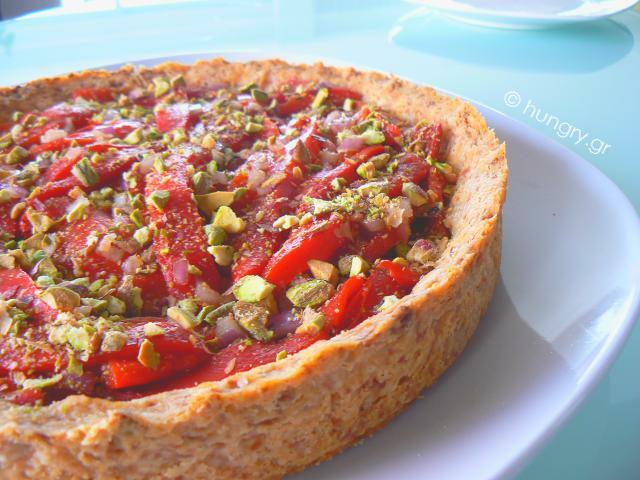 A tart with crisp pastry crust and all the flavors and nutrients of its delicious ingredients.